"How to put eyelashes?" - this question often arises in front of the girls who wish to learn the art of makeup. It seems that this is simple to do, but it is not. To tint lashes so they look long and lush - it requires accuracy and knowledge of several rules and techniques. To make lashes look lush and long, you need to work hard, especially if your lashes are stubby and sparse. So, the first thing you need to do is to apply to the eyelashes a mascara base and give it to dry completely. Of course, you can do without this technique, however, it was eventually eyelashes will look fuller. The next step is applying lengthening mascara. The first coat of mascara should be applied to smooth movements of the cilia from the roots to the tips. As for the method of painting, it is not important, the main condition that needs to be dyed well, the brush. Remember, if you wish to have lashes looked neat, don't need to dial in the brush a lot of mascara. After applying this layer, you need mascara let dry (but not dry completely). Next you need to apply a second coat of mascara, but no. To put her needs in a special way: type in the brush a minimum amount, hold the brush to the middle of the length of the cilia and gently close the eyes. 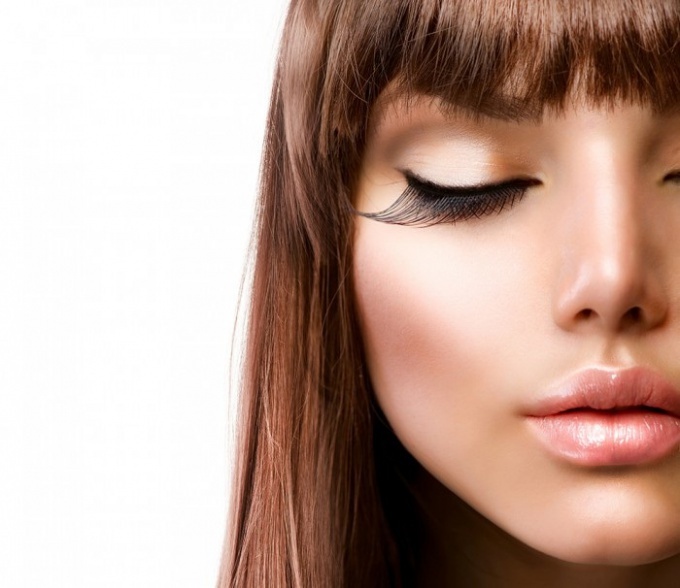 Repeat the procedure three to five times, then do the same with eyelashes on the other eye. The last step is combing the eyelashes. Wait about 30 seconds after applying some mascara on the mascara, then gently comb lashes with a special brush, trying to remove the lumps (if any), and to separate the eyelashes. At this stage you need to give them a neat appearance. If your cilia by nature hard, it is better to choose an ink with a liquid composition and a soft brush, if the lashes are soft and thin, perfect mascara with a stiff brush and a more dense composition. If before applying mascara apply to lashes regular moisturizer and let it dry, the lashes will stain more evenly and clumping is reduced to a minimum.